Sentry Superband wristband is made from lightweight non-stretch polyester. 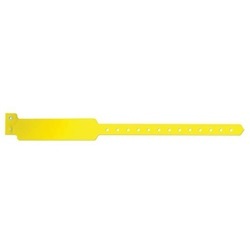 Yellow write-on band with SecurSnap permanent snap closure. Adult size. Manufactured by Precision Dynamics. Comes 500 per box.